SKU: 809. Category: Women's Clothing, Women's Dresses. Travel to a secret hideaway with the Secret Garden Dress. 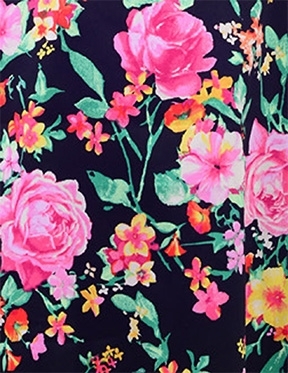 This sleeveless dress is vibrant and colorful adorned with pink roses, yellow, and red flowers. 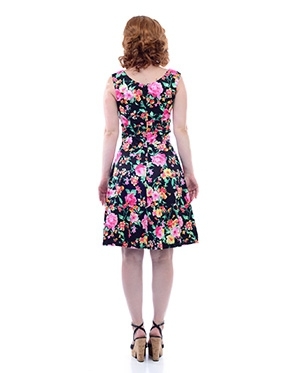 Simple and lovely, you can easily bring some cheery to your day is this floral dress. 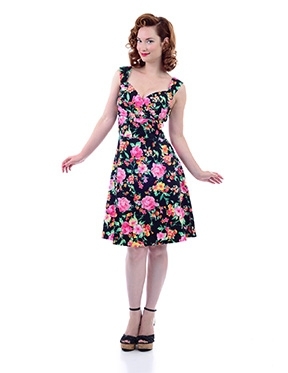 This dress is fitted and runs small with very minimal stretch. We do recommend that you size up.